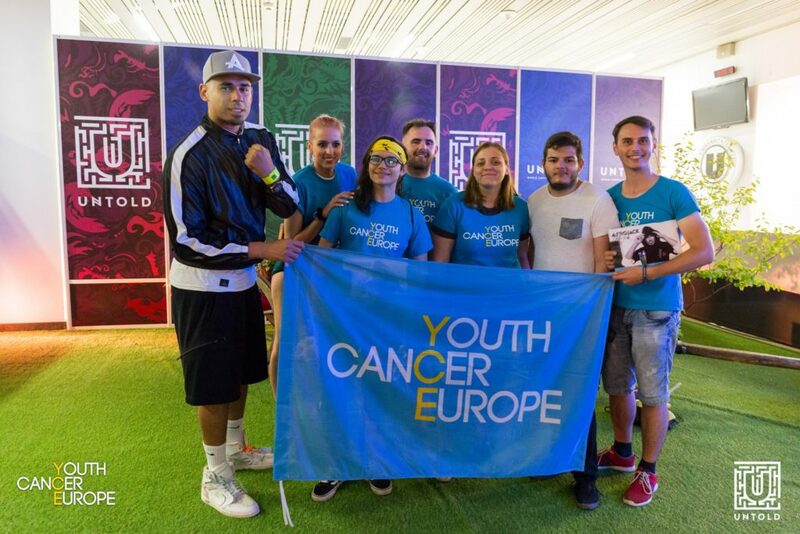 During last weekend’s fourth edition of Untold, Romania’s largest electronic music festival, some of the world’s biggest DJs including Armin van Buuren, Afrojack, Kygo and Danny Avila greeted youth cancer survivors from five different countries in meetings organised by Youth Cancer Europe, who specially flew the young adults in for the occasion. 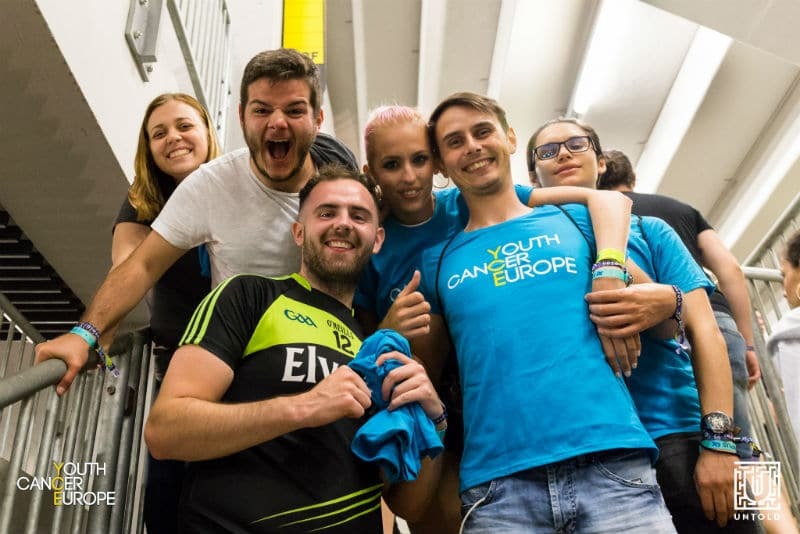 A group of survivors from around the continent, aged 18-26, were given the opportunity through a social media competition organized by the charity for its network of cancer survivors, which included representation from Spain, Northern Ireland, Poland, Macedonia, and Romania. Afrojack was the first to meet the group backstage during Thursday night, while Armin Van Buuren took photos with the survivors before taking to the stage at Cluj Arena for a mammoth 7-hour headline set that wrapped up the festival. Spanish DJ Danny Avila also wore the “F*** Cancer” bracelet given to him by the group during his Saturday night set, taking to Instagram to share a photo and recall the meeting as “unbelievable”. 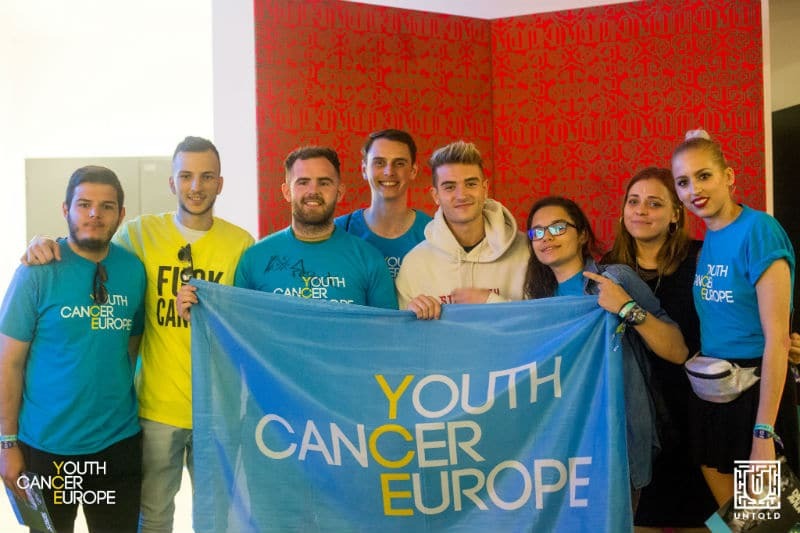 Previous meet-and-greets organised by Youth Cancer Europe for its network of survivors include Martin Garrix, Hardwell and Dimitri Vegas & Like Mike. 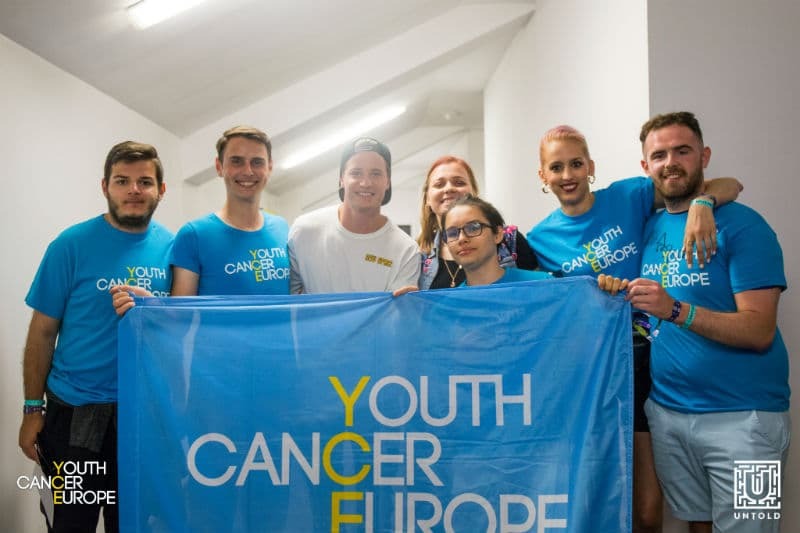 Youth Cancer Europe would like to thank the UNTOLD festival for providing access to the festival and to Ecolor manufacturing and the Swedish Consulate in Cluj Napoca for sponsoring the travel and accommodation of visiting youth cancer survivors.